I have an old cine projector which has a specialist power cord socket (a circular one with 2 pins) sadly this has been lost and I have been unable to track down a new one on ebay. I was wondering whether this could be converted to a flex using a block connector? After unscrewing the lead - one pin has a red, blue and black lead soldered on to it, the other has a single red lead. The question I have is - how would you wire all these into a block, so I can connect a flex lead to it and run from the plug? 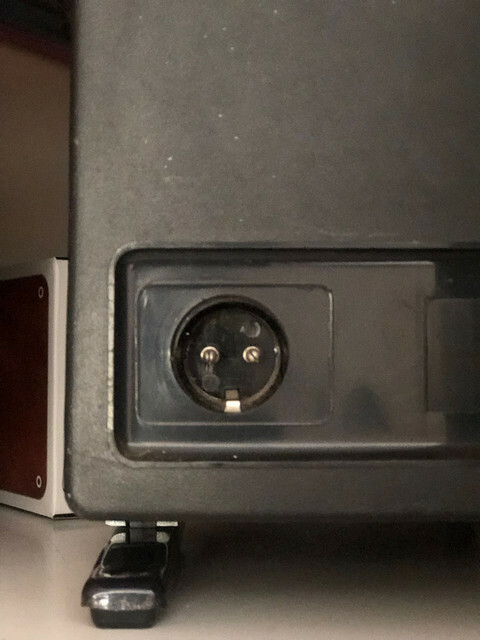 Might be an idea to post a picture of the actual socket face. Someone might know the type. 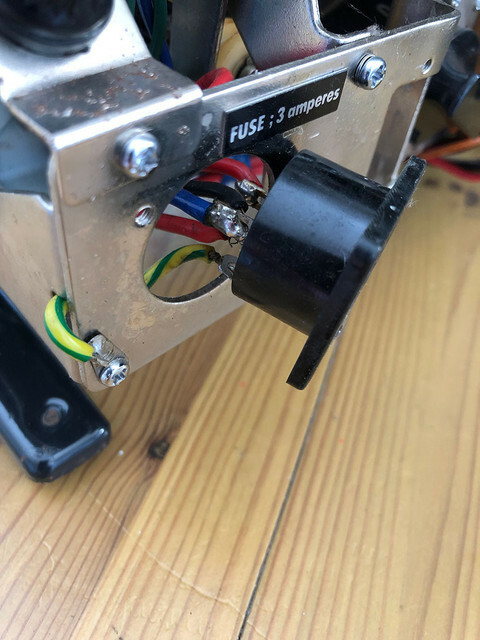 You should connect them the same way they are now, since any different configuration would cause harm or damage. You should also add some form of strain relief to the new flex. Post your request/query on the UK Vintage Radio Forum https://www.vintage-radio.net/forum/index.php as they often assist in locating/identifying such devices and may even 'have' one. That is a kettle plug. The projector socket is about 2-2.5 cm and has a scraping earth. I think it's an older type of connector than that. I remember seeing ones like that with an earth on the edge. "Scraping connector" Obsolete I suspect. There was a sort of "Oval with flat sides" connector as well I remember. Often with an angled cable entry. I think that was 15 Amp.